【June 14th 2017】Phoenix Program Seminar in preparation for short-term fieldwork 2017 was held successfully. Phoenix Program Seminar in preparation for short-term fieldwork 2017 was held successfully. 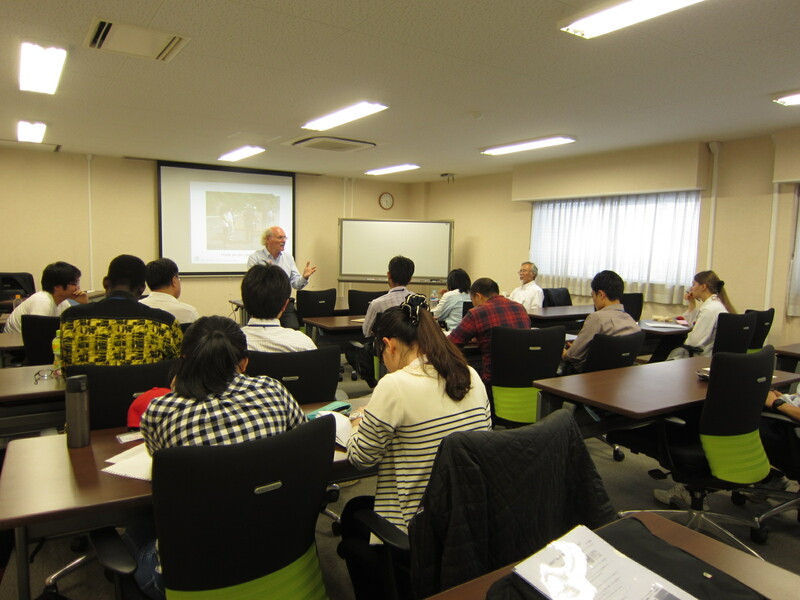 We invited Dr. Jacques Lochard, vice-chair of the ICRP Main Commission and visiting professor of Hiroshima University to hold a seminar on June 14th, 2017. There were 20 participants in total, including 13 students from the Phoenix program, 1 graduate student from the TAOYAKA program, as well as 6 faculty and staff. Short-term fieldwork in Fukushima prefecture has been held every year since the program’s inception, with the Suetsugi area (Hisanohama-machi, Iwaki city) being one of our main destinations. In this area, the radiation dose rate of the air and the locally-produced food are measured led by local residents. These activities are designed to allow residents an active role in taking back the security for their lives by carrying out measurements and confirming the measurement. As Dr. Lochard has been involved with these efforts from the outset he was able to clearly explain the background and ongoing developments. This seminar offered participants the opportunity to deepen their understanding of the area before visiting in August.